Introduction: Daiwa gave us a preview of their soon to be released reels at the upcoming ICAST 2009 in Orlando. They kick this off with a focus on saltwater with new additions ranging from a new Zillion Coastal reel to brawny new Saltist Big game reels. A Zillion specifically designed for Inshore Anglers: Inshore anglers will soon have a new weapon based on the top selling Zillion series from Daiwa. With the same profile as the existing Zillion reels the new Coastal was adapted to meet the specific needs of inshore anglers. 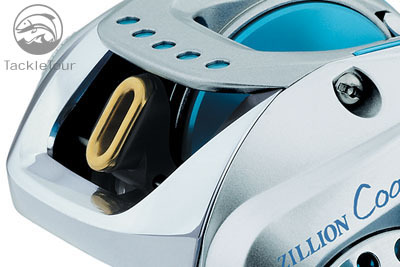 Though designed for inshore anglers we have no doubt that bass anglers, especially those fishing in brackish water, will pick up the new Zillion simply because the new silver-blue color scheme just looks plain sick. The new Zillion Coastal reel features a blazing 7.3 to 1 gear ratio which means that every crank of the reel's handle rotates the spool 7.3 turns, pulling in up to 32 inches of line. Daiwa explained that the "point is to keep a lure or bait in productive water as much as possible, with less time wasted in getting it back for another cast, especially handy when fishing top-water rigs." Compact in size, the new reel offers plenty of line capacity to handle popular inshore species from Redfish, Trout and Snapper Blues in the Gulf and Eastern waters to Calico Bass on the Pacific side. 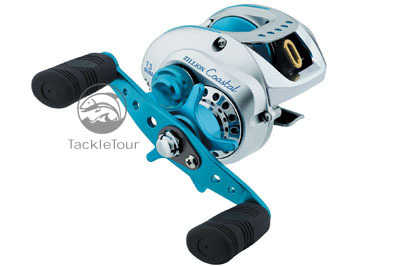 To resist the effects of saltwater corrosion, the reel has been given a total corrosion package, starting with six of Daiwa�s unique CRBB ball bearings. Designed to fight corrosion, they�ll last up to 12 times longer in saltwater use than ordinary stainless steel ball bearings. 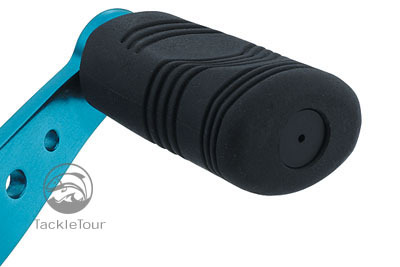 In addition Daiwa's bearings are shielded to keep out the sand and grit normally suspended in most inshore waters. Specialized anti-corrosion treatments and materials ensure reliable saltwater service from the reel�s other internal components as well. As with any saltwater reel worth it's weight in salt the drag needs to be both powerful and consistent. Daiwa makes use of a eight-disc UTD carbon drag system that applies ultra-smooth braking power to keep even strong fish under control. 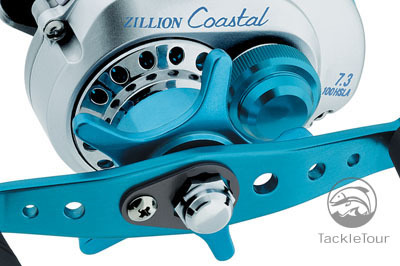 The new Zillion Coastal reel will be available within a few months after ICAST in either right or left hand retrieve and the MSRP for either model is $299.95.